4k00:15SAINT-PETERSBURG, RUSSIA - JANUARY, 2015: Lift to the ski slopes. Shot in 4K (ultra-high definition (UHD)), so you can easily crop, rotate and zoom, without losing quality! Real time. 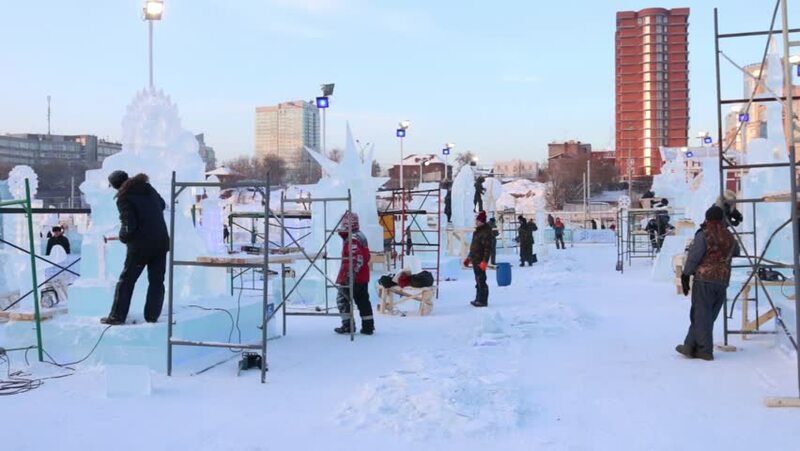 hd00:30PETROZAVODSK, RUSSIA - FEBRUARY 20, 2014: Site of International Winter Festival Hyperborea 2014 with sculptors working at ice, slider. hd00:15LONDON - FEBRUARY 21:Time lapse (with high-key grading) of shoppers and traffic at Oxford Circus, the intersection of Oxford Street and Regent Street, London, UK during the post-Christmas sales on February 21, 2012. 4k00:24Denver, Colorado, USA-December 1, 2018 - Little girl learning how to ski in alpine mountains.